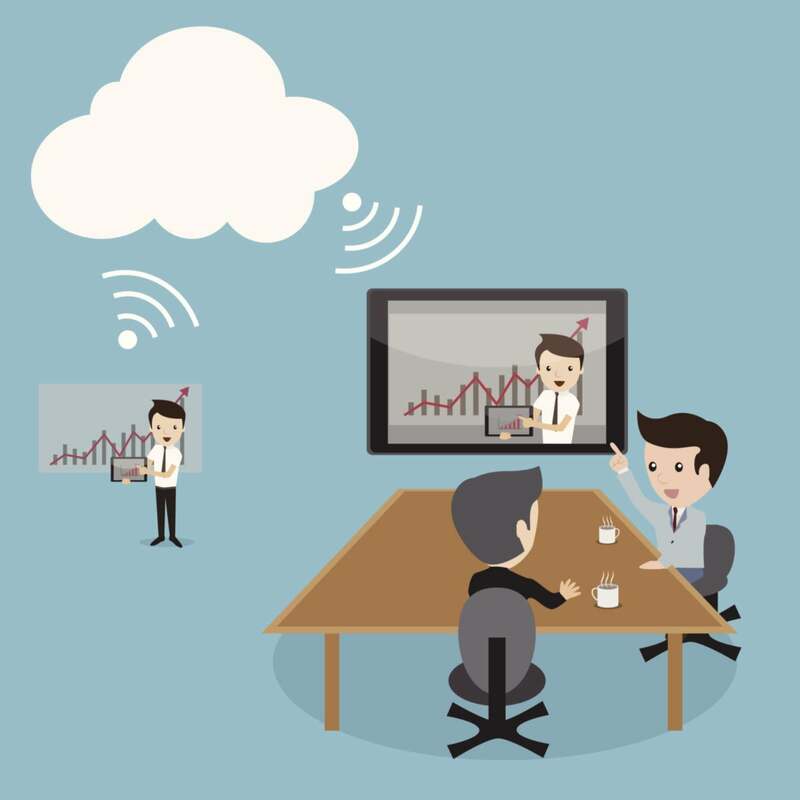 7 Low-Cost Videoconferencing Services: Which is Best for Your Meeting? Conference call services want your business — even those that offer free plans — and their feature sets are getting better all the time. Conference calls are a big part of work life today — sometimes too big. Because we spend so much time in meetings, we want conference-calling systems that that launch quickly and work flawlessly so we can get the information we need and move on to other pressing matters. The capability to browse a post-meeting transcript or zoom through an audio recording would be big bonuses, especially for fastidious note-takers who don't always catch everything in real time. The good news is that the leading conference call services are full of features that take the sting out of group calls and online meetings. Standard features typically include audio recording capability, support for screen-sharing, automated transcripts (created by converting digital recordings into text), Web interfaces with hosting tools for managing calls and keeping track of participants, and 24/7 availability. Some services also offer personalized greetings to participants who dial in, customized hold music, operator assistance and a participant “dial-out” feature, where the service calls participants to bring them into the meeting (also referred to as "call me" functionality). Here’s a look at eight conference call services, some of which offer certain options free of charge: ConferenceCalling.com, join.me, FreeConferenceCall.com, Skype for Business, GoToMeeting, UberConference, InterCall and WebEx. ConferenceCalling.com aims at the small business market with two unlimited plans for meetings with up to 15 or 50 callers, and a pay-per-use plan that handles up to 300 callers. An unlimited plan lets you host any number of conference calls each month. Customers can schedule calls or host them on the fly, share screens and use an operator to assist for more complex calls. The Web-based interface is easy to use, works well with both PCs and Macs, includes essential host control tools and generates reports. FreeConferenceCall.com is one of the first services we used back in the day to host calls with small groups, and we continue to use it because of its ease of use and familiarity — and because it's free. It includes scheduling and tracking in Microsoft Outlook or Google Calendar, call recording (available on demand when the call ends), a keyword transcription service and annotation and in-meeting chat tools. It also supports videoconferencing, radio streaming and cloud recording and playback. A feature called Broadcaster lets you can play audio files or pre-recorded screen-sharing sessions during live meetings. But FreeConferenceCall.com isn't just for small meetings — it can accommodate up to 1,000 participants and calls lasting up to six hours. Customers who want to provide a U.S. toll-free number pay a per-minute fee for each caller. FreeConferenceCall.com also offers a large meeting service for videoconferences with more than 1,000 participants. GoToMeeting is a conferencing service owned by Citrix that supports Web-based audio meetings and high-definition videoconferencing. It includes a chat tool that lets the host communicate with individual participants. Although it doesn't have as many bells and whistles as some of its competitors, GoToMeeting is reliable, moderately priced and supports various mobile devices. It also lets users log in using their Windows usernames and passwords (through a feature called Enterprise Sign-In), which is a boon to IT administrators. Citrix offers a free plan for meetings with up to three participants and sells monthly or annual subscriptions for plans that accommodate up to 10, 50 and 100 participants. InterCall offers monthly plans geared for small businesses that typically have meetings with 10 and 25 attendees, as well as a pay-as-you-go plan for conference calls with up to 125 attendees. All plans have dedicated dial-in numbers, a toll-free number, mobile apps, and 24/7 operator support. Host controls include line muting and attendee disconnection, as well as the capability to dial out from a meeting and prevent new callers from dialing in (for security). The company's Unified Meeting 5 service facilitates screen- and presentation-sharing, and lets participants join breakout sessions. LogMeIn's join.me service is easy to use and includes lots of options. The free plan lets you hold conference calls with screen-sharing, whiteboarding and videoconferencing over VoIP with up to 10 participants. Paid plans include Pro, for meetings with up to 50 participants, and the Enterprise plan, for meetings with up to 250 participants. Paid plans let you record meetings, use annotation tools, lock meetings and use a custom URL; they also include cloud storage, among many other features. Participants can use an app to join a conference or get access via a LogMeIn account using PCs, Android devices, Macs, iPads, iPhones or Apple Watches. The Skype service has been around since 2003, originally created as a way for people to video-chat with friends and family. Microsoft purchased Skype in 2011, and a free version still exists for personal Skype-to-Skype calls. An enterprise version, Skype for Business, is now part of the Microsoft product line (replacing Microsoft Office Communicator and Microsoft Lync). Skype for Business is available for Windows and Macintosh computers, iOS and Windows tablets and smartphones, and Android and BlackBerry devices. Customers can sign up for stand-alone Skype for Business plans that start at $2 per user per month, or choose an Office 365 plan that includes Skype. All plans offer group HD video and audio calling for up to 250 participants. Features include a presence interface, an IM tool, the ability to transfer control of presentations to participants, and support for custom polls and Q&A sessions. The first thing to be said about UberConference is that it's just so simple to use: No PINs needed! In addition to offering screen-sharing, a free recording system, great host controls and HD audio, UberConference lets you share documents (with support directly from Google Drive, Box, Dropbox and Evernote). It also can call participants to have them join a conference before or during the event, and it provides a visual for each attendee and the current speaker. Another great feature of UberConference is its capability to authenticate folks calling in based on their contact information. The service is tied into social media sites like LinkedIn, Twitter and Google+, enabling anyone to view a participant's work title, company name and recent Tweets and posts. Customers can choose either the free version or the business plan. Unlike most of its competitors’ free plans, UberConference's no-charge option includes all of its main features, as well as unlimited calls, for up to 10 participants. The business plan provides a local phone number, a "call me" feature, support for recurring conferences and more, and it can accommodate up to 100 participants. A toll-free number is available via the business plan at an additional cost. Almost anyone who has ever joined a conference call is familiar with WebEx, a popular service among organizations of all sizes. Owned by Cisco, WebEx provides reliable audio- and videoconferencing, as well as screen sharing and lots of interactive features. The two main services are WebEx Meetings Free (for up to three participants) and WebEx Meetings Premium (which encompasses three different plans for gatherings of up to 100 folks). Additional plans include WebEx Event Center for webinars, WebEx Training Center for online training and WebEx Support Center for providing remote support. WebEx’s videoconferencing service offers full-screen mode, video feeds and split screen mode, and enables customers to join a meeting via telepresence technology. Features include annotation tools, whiteboarding, personal meeting rooms, a shared presenter mode and mobile apps. Customers who want participants to join without dialing a number or entering a passcode can use the call me feature (as an add-on to any premium plan), which calls attendees and brings them into a meeting automatically. One beef that users have with some free services is that the sound quality is poor. The no-charge offerings may be plagued by echoes or background hum and the like — drawbacks that aren’t often encountered with paid services unless there’s an issue with a participant's phone or headset. Also, some free services require users to dial in using a long-distance number (though this isn't a huge problem, since most phone plans include free long-distance calling). Complications can also arise when you try to combine two services — when, for example, you one service ifor audio communication and another for screen-sharing or online collaboration. Such a setup may require the use of multiple dial-in numbers, conference IDs and security passwords, which can be confusing to participants and therefore cause meetings to be delayed. Selecting a trustworthy service that provides all the features you need may be the best solution for you, even if it means paying a little bit more.